Valley Forge: When he lost his job running a mutual fund company after stocks tanked in the early 70's, John C Bogle decided that money managers knew very little about predicting the market — and charged way too much for that lack of knowledge. He founded a new fund company, Vanguard, in 1974. Two years later, Vanguard introduced the first index fund for individual investors — a vehicle that simply tracks the performance of an index like the S&P 500. The fund, called First Index Investment Trust, was derided for years as "Bogle's folly." Critics maintained that it aimed only for mediocrity and missed moneymaking opportunities outside the index's narrow focus. 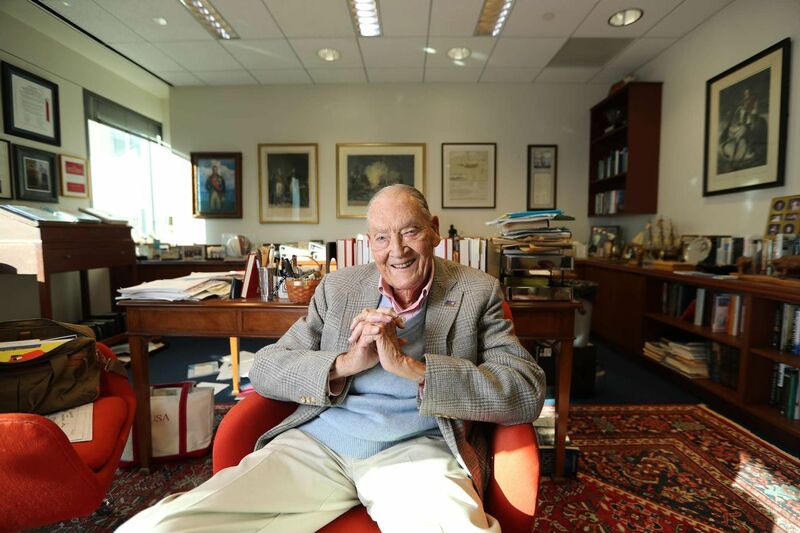 Bogle, who died Wednesday at the age of 89, and Vanguard eventually won investors over. That initial fund is now the Vanguard 500 Index fund with USD 400 billion in assets. It is no longer Vanguard's biggest fund, but remains among the company's lowest-cost offerings. Shareholders are charged annual operating expenses of USD 4 for every USD 10,000 invested — a fraction of the USD 100 and up that actively managed mutual funds may charge. Bogle served as Vanguard's chairman and CEO from its founding until 1996. The advent of index funds accelerated a long-term decline in fund fees and fostered greater competition in the industry. Investors paid 40 per cent less in fees for each dollar invested in stock mutual funds during 2017 than they did at the start of the millennium, for example. But Bogle continued to maintain that many funds were overcharging investors, and once called the industry "the poster-boy for one of the most baneful chapters in the modern history of capitalism." Bogle also believed that the corporate structure of most fund companies poses an inherent conflict of interest, because a public fund company could put the interests of investors in its stock ahead of those owning shares of its mutual funds. Vanguard has a unique corporate structure in which its mutual funds and fund shareholders are the corporation's "owners." Profits are plowed back into the company's operations, and used to reduce fees. Index funds gradually chipped away at the once-dominant market position of actively managed funds, a trend fuelled by performance data that consistently shows index funds produce better returns than a majority of managed funds, after costs are factored in. Actively managed funds still control more in total dollars than index funds, but the trend is clear. In 2017, investors plugged USD 691.6 billion into index funds while pulling USD 7 billion out of actively managed funds, according to Morningstar. In a 2008 interview with The Associated Press, Bogle said that index investing "is the ultimate buy-and-hold, all-American business strategy. It is the gold standard; there is no way around it. Mathematically, indexing wins. And if the data don't show indexing wins, well then, the data are wrong."